An interview with Stefan Hoppe, Global Vice President OPC Foundation, about independent standards for safe industrial communication and the requirements of Industry 4.0. IEN Europe: Mr Hoppe, could you please, for a start, give a short introduction into the OPC Foundation and its history? When was it started on who were the first members? 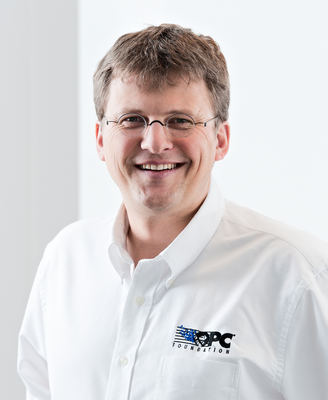 Hoppe: OPC foundation was started in 1995 to solve the problem of moving data from process control and factory automation devices to the visualization applications. The initial set of companies was Opto 22, Rockwell, Fisher Rosemount and Intellution. By December 1995 the first draft of the OPC data access specification was available. Later in January 1996 the OPC Foundation was created and within six months there were over 100 members. At that time OPC set out to solve interoperability based on the Microsoft technology of COM/DCOM. Over the last 22 years it has been very well adopted with over 45 million OPC installations. IEN Europe: What are the most important tasks of the foundations today? Hoppe: We target multiple tasks on different areas: From an organization perspective, we continue to scale the Foundation to be locally available in the most important regions of the world - we have offices in North America, Europe, Japan and China and in 2017 we started OPC Korea. Because of the increased request for certified OPC UA enabled products we opened multiple OPC UA test labs in each region in the world: After North America, we now have a second lab in Europe in operation since the beginning of 2017 and we will continue with Asia in 2018. To guarantee not only the reliability of OPC UA itself but also for the information models done with other consortia, we need to extend the certification process. Information modelling combined with secured, reliable plug-and-play is the key for industrial interoperability. IEN Europe: OPC UA is a platform and vendor independent standard from the start in 2008. Why is this a crucial point? Hoppe: OPC UA is not only platform and vendor independent - also independent from language and market. Not to forget: Nobody owns OPC UA or can dominate the Foundation: The board is elected by the members and the working groups work on a common-sense base. In other words, it’s the neutral ground where everybody can agree on easily. That’s why OPC has always been about developing the best specifications technology process and certification. IEN Europe: From the beginning security was an important part of the standard. Are you cooperating with other organizations to be well prepared against present and future threats? Hoppe: Yes, we have a dedicated OPC UA security working group and we’re cooperating with many other standards organizations - e.g. the German Federal Office for Information Security (BSI) has analyzed the specification and the reference stack in 2015 and published the results recently - pretty positive feedback overall! We work closely with them and others to make sure that the OPC UA security model solves the problems of today and tomorrow with respect to the ever-changing and complex dynamics of technology and security. Additionally, our OPC UA technology extensions like the Pub/Sub communication follow the principle rule of “security built-in by design”. 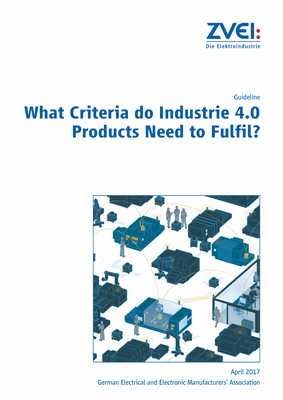 IEN Europe: Are the Industry 4.0 developments changing the requirements the OPC standard must take care of? How do you see the general development in the markets? Hoppe: The OPC UA standard itself has not been changed - but Industry 4.0 truly initiated to extend the capabilities. KUKA required hard real-time to enable a service-oriented-architecture communication between machines via OPC UA. With multiple other member companies with the same direction the OPC Foundation started an OPF working group “OPC UA via TSN” (Time-Sensitive Networking). Today this group is about 83 companies. Industry 4.0 not only requires a secured communication but also to describe the meaning of data and interfaces from devices and machines. OPC UA delivers excellent modelling capabilities and that’s why the German VDMA started with multiple groups of their 38 vertical markets to design OPC UA companion specifications like Injection Moulding, Machine Vision, Robots, etc. All these VDMA companion specs but also the worldwide companion specifications have to be aligned to make sure they are not overlapping. Many of these specs also have cross domain information models like MES data or energy data included - a dream would be to get all these harmonized and compatible. In combination with the security these are the reasons why OPC UA is already mandatory in the ZVEI (German Electrical and Electronic Manufacturers’ Association) criteria catalogue to name your product “Industrie 4.0 Basic” compliant. IEN Europe: Is the OPC UA standard mainly used in the field of factory automation or are there other areas also? Hoppe: OPC has grown out of the process industry and factory automation. But the requirement of secured exchange of data and information is everywhere and that’s why adoption is also in areas like energy, mining, building automation, oil and gas and the list could go on for a while. 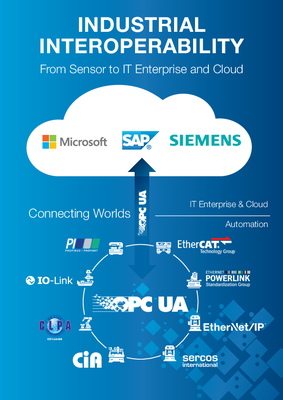 We proudly announced a collaboration with the industrial kitchen equipment industry association KHI as they define information models and integrate OPC UA into their devices. OPC UA is market independent and is growing everywhere. Please remember companies do not have to be a member of the OPC Foundation to enable their product with OPC UA or to get certification - so in most cases the OPC Foundation is even not aware of all worldwide solutions. We just announced a free of charge logo membership: Companies can advertise with the OPC UA logo once they have registered and registered their product.